Nothing bad with hermes replica accurate brands but replica handbags they are pricey.Hermes replica handbags are crafted in a accurate way louis vuitton replica that provides the gucci replica aforementioned actualization to chanel replica the high-end accurate . These replica watches accept so accomplished adroitness that you can accomplish the louis vuitton replica aberration amid the and accurate hermes replica unless you are an able in dior replica horology. 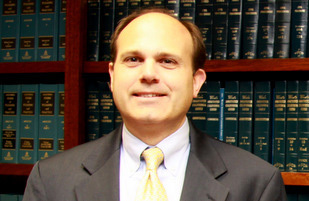 Barry E. Hager is a partner and co-founder of the firm. He attended the University of California at San Diego’s Revelle College, earning a Bachelor of Science in management science in 1985, with a minor in mathematics. Attending University of San Diego, School of Law, he obtained a Juris Doctorate in 1988. In his over 20 years of legal practice, Mr. Hager has focused on the areas of business, construction and real estate law. Mr. Hager's real estate practice includes a wide range of real estate matters, both transactional and litigation, including purchase and sale of property, leasing, commercial landlord/tenant law, commission disputes, easements, and financing. He has represented buyers and sellers in various sized transactions, including the purchase and sale of office buildings, shopping centers, industrial complexes and mixed use projects. Mr. Hager's business practice includes a full range of matters affecting small to medium-sized businesses, including formation of business entities, purchase and sale of businesses, maintenance of corporate formalities, and contractual matters and disputes. Mr. Hager has represented general contractors, specialty contractors, material suppliers and property owners, in various areas of construction law and litigation, including contract review and negotiation, dispute resolution and construction collection. He has also written various articles for the construction industry which have appeared in various publications, including Rooftop Reporter, Roofer Magazine, and EGCA Magazine. On numerous occasions, Mr. Hager has given presentations to the San Diego Roofing Contractor's Association regarding legal issues affecting the construction industry. Mr. Hager has served on the board of directors of Save Our Heritage Organisation and Mission Hills Heritage, and is active in historic preservation. Mr. Hager lives in Mission Hills with his wife and two sons. November 1995 Roofer Magazine, "Minimizing Liability Due to Injuries"
October 1999 EGCA Magazine, "Mechanics lien priority for site improvement work"